Power brushes are ideal for heavy-duty applications. It can be used in deburring, weld cleaning, weld prep, descaling, rust and paint removal, pipeline fitting, wire stripping and many more. We also manufacture in both the twist knot-style for heavy-duty brushing and crimped-style for lighter applications. 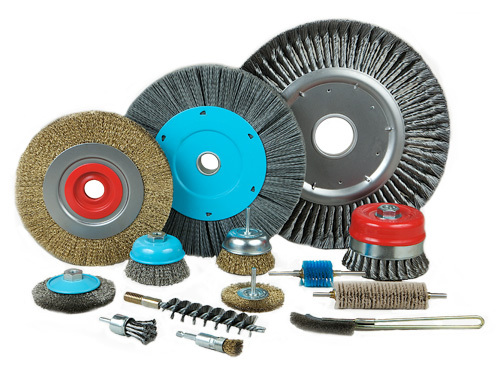 Each type of brush is designed in which it is most customarily utilized. The filaments for each power brush configuration could be filled with the following high tensile filaments. Back to Home | Copyright 2008 UNION Industrial Brushes. All rights reserved.